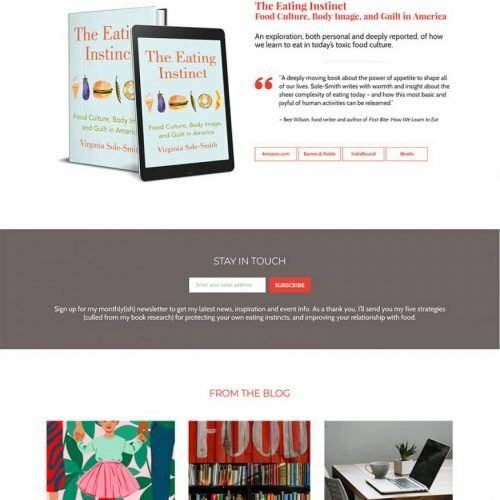 Author & Book Websites: What to Include? 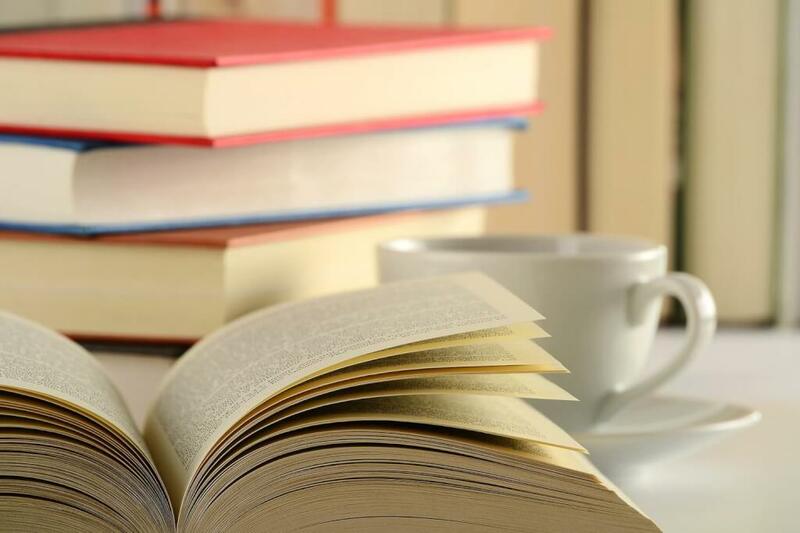 Featured Project: Whether you are a first time author or have many titles under your belt, there is often a book that was either recently published, or is about to be published. 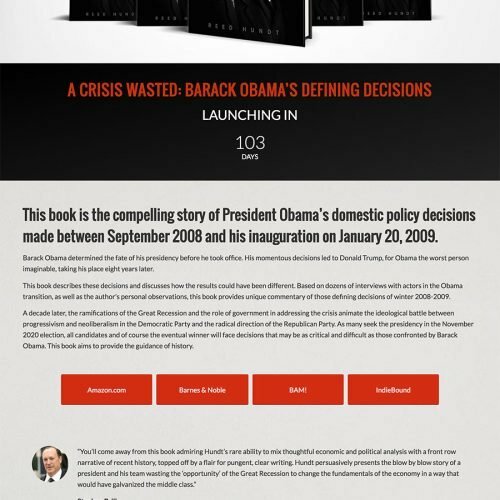 In the case that the book was recently published, promote it front-and-center with a large 3d bookshot, an enticing blurb, and featured purchase options. 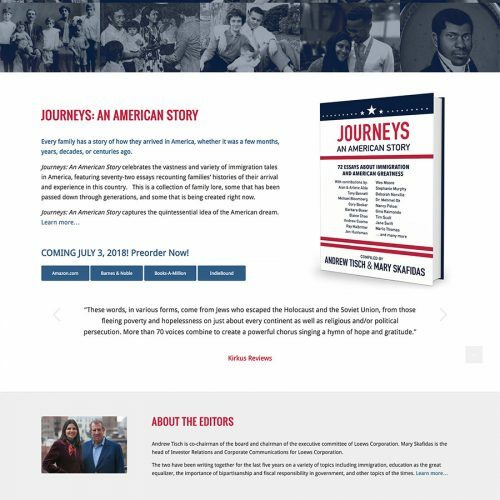 Include a link here to a page where someone can read more about the book, or get some behind-the-scenes information or other promotional materials (such as an excerpt or resources). And if you have a great review excerpt or testimonial – include it! Other Titles: If you’re prolific, this can be the latest (or most popular) three titles, but if you’ve got a handful of books in your biblography, a short list of these titles with smaller cover shots will let people know they’re in the right place if they’ve read you previously, and also let them know about books they may not yet have read. If your books are a series, be sure to include where the books fall in order as your readers will likely want to know. 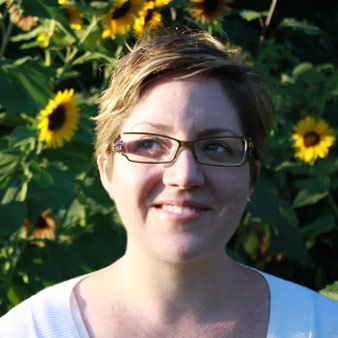 Bio Blurb: As an author site, people will want to know about the author! This is no time to be shy! (even if you are, fake it till you make it) Include a professional headshot and a blurb about you that will lead off (via link) to a page dedicated to information about you. On that page, frame the content around what lead you to writing, and why you write the kinds of books that you do and what you love about it. If you’re also promoting yourself for speaking engagements, or if your book is one aspect of your larger professional career, consider making your photo larger or putting it in a more prominent position on the page. If you’d like to learn more about creating a bio blurb check out my blog post on creating a website bio page. Latest News/Events: If you’re promoting your book (and why wouldn’t you?!) you’re likely going to have interviews, blog mentions, reviews and other media coverage items you’ll want to share with your audience. There should be a full list somewhere else on your site that archives everything, but the Home page can feature the latest (or most important) items so that site visitors can easily learn more about what you’ve been up to recently. Appearances (as necessary): If you make appearances for book readings or signings, interviews, or at conferences/professional events you’ll want to have a list of upcoming appearances so that your audience can easily find out the details they need to attend. Consider including photos here too. 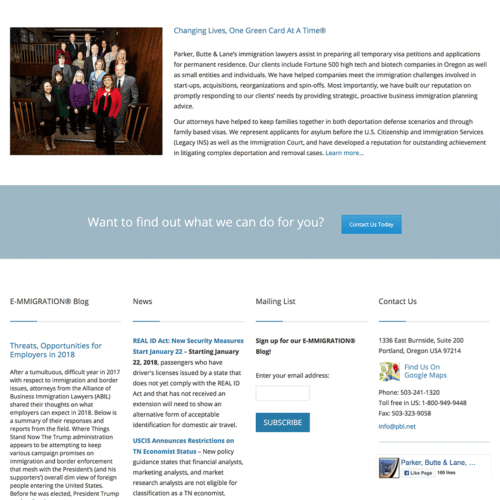 Most Recent Blog Post (as necessary): If your site has a blog (which is a great tool to build your audience) you can place an excerpt of the most recent blog post on the Home page that is dynamically updated every time you publish. This keeps the content on your Home page fresh without any extra work, and encourages people to explore the blog further & engage with your content. Social Media/Affiliation Links: Most people have social media profiles these days. Whether your preference is Twitter, Facebook or Google+ you’ll want to at least have a link to your profile(s) but ideally you have a Follow/Like/Add to Circles button right there on the page. Whether you also include the feed depends on how often it’s updated and whether you’re duplicating content found elsewhere on your website by doing so. Social Media Sharing: Different than the links to your social media profiles, you want to make it super easy for people to share your website with their friends. This should be a simple one-click button that allows people to choose their sharing service of choice (Facebook, Twitter, Email, etc..) and pass the word around. Of course people can do this by copying/pasting your URL, but why not encourage it and make it easy so that more people do it? Newsletter Signup (as necessary): If you can commit to writing to your email list, a list signup is a must have — it allows you to keep in touch with your audience and keep them appraised of your latest goings-on. I recommend asking for an email address, no more — why risk a barrier to entry by asking for their full name or phone number? And an incentive to sign up is always nice — maybe the newsletter will include a promotion code for a discount on your latest book, or maybe the content you send out will be enough if it’s enticing, such as a glimpse into what’s going on with your next book? If a newsletter isn’t your style, but you want to build an email marketing list to promote your future projects, an email signup with an incentive of a sneak preview of a future title or a bonus chapter would be great. Bonus Materials: This is where you (and your website designer) get to be even more creative. Depending on the kinds of books you write, you might include a slideshow of photographs, or an audio file, or a YouTube video, or a quiz, or myriad other things that tie into the content of your books. Some authors are experts in their field and their books are an extension of a larger career — in this case this is a great opportunity to include something interesting from the larger context of your career, such as a discount code for signing up for a related service. Contact Information: Ideally this lives in the footer of the entire site, but you want to make sure it’s easy to get in touch with you from the Home page. After all, if someone comes to your site interested in booking you for an appearance or interview and they can’t find how to connect with you, that’s super bad for business. If you’re uncomfortable giving out a phone number (you can easily get a dedicated number for this via Google Voice) or an email address, point site visitors to a page with a contact form on it, or encourage people to get in touch with you via Facebook — whatever works best for you. Like with author sites, things like the 3d bookshot, blurb, purchase options and testimonials are must-haves – but since you’re focused on the world of one book you can elaborate a little bit more. Perhaps you have an audio clip of you reading a chapter? Or a video trailer? Or an excerpt? or a slideshow? On an author site these things can be included on the internal page dedicated to a particular book, but on a book site they can live right on the Home page. Many movie websites do a great job of creating atmosphere with the aesthetic of their websites. Granted, they have lots of visuals to work with already, but as the author of a fiction book you’ve likely imagined what the world of your book looks like. Even if it’s something like “dark and moody” or “honest and trustworthy” — these ideas can help you and your web designer come up with an atmosphere of the site that acts as an extension of the book. 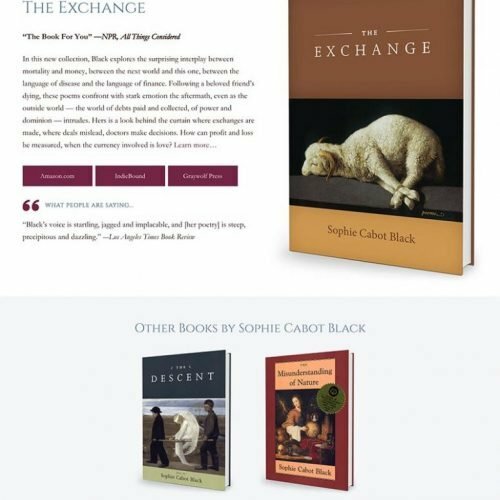 Even if you’re a non-fiction author, the topics of your books can influence the aesthetics of the site – check out my blog post on color & website aesthetics to learn more about that. Keep in mind here that you don’t want to go over the top and create a site that is creative but hard to navigate, or difficult to view on a mobile device. You don’t need to reinvent the wheel when it comes to how people expect websites to work to create atmosphere. I know these lists include LOTS of ideas — perhaps too much for a Home page you’re thinking? This is where working with a skilled web designer will help tremendously. 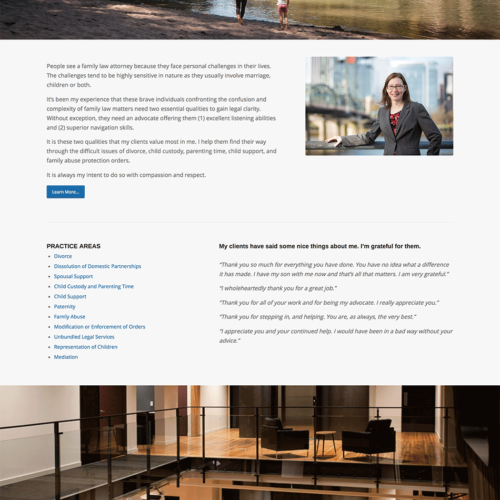 By breaking these elements up into a grid with plenty of white space to keep it easy to parse, you can fit this content into a clean, easy-to-use design without compromise or overwhelm. And not all of them might be right for you — if you think about your audience and what you need your website to do for you, you might end up with something super simple — this is another place where talking with an experience designer who can help you determine what elements will work best. A good web designer will help you determine what to include and what to leave out to make your particular project a success. You can see a bunch of examples of these ideas in my author website design portfolio. As an author, genealogist, historian and realtor, website guidance is very important. As an author, everything you have pointed out is vital to success. I own both domains; My author name and my book series name. 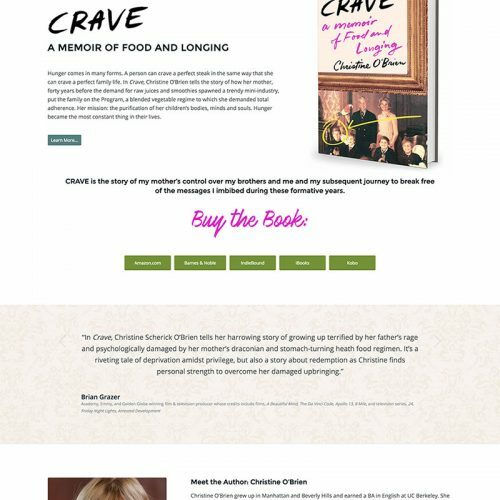 Which is best for my first website; author name or book name? My name is nearly always misspelled (Mattox – Maddox). Unless you are famous, don’t people usually search by book title? @Dawn – That’s great that you own both. As a new author I suggest thinking about how you plan to market your book. If it’s fiction, and you’ll be marketing the title and not yourself as an expert or a speaker whose primary resource is a book, I would go with the book title. And make sure your domain administrator creates a permanent forward on your author name domain to the book title domain. That way anyone visiting one will be automatically redirected to the other, but your content will actually “live” at the book title domain. If you wrote a non-fiction book and you’ll be marketing yourself as much, if not more than the book as a speaker & authority who will appear at events or online media (so that people will be looking for you by name) I would do it the other way around. Again, make sure you add a permanent forward from one domain to the other. Good luck!